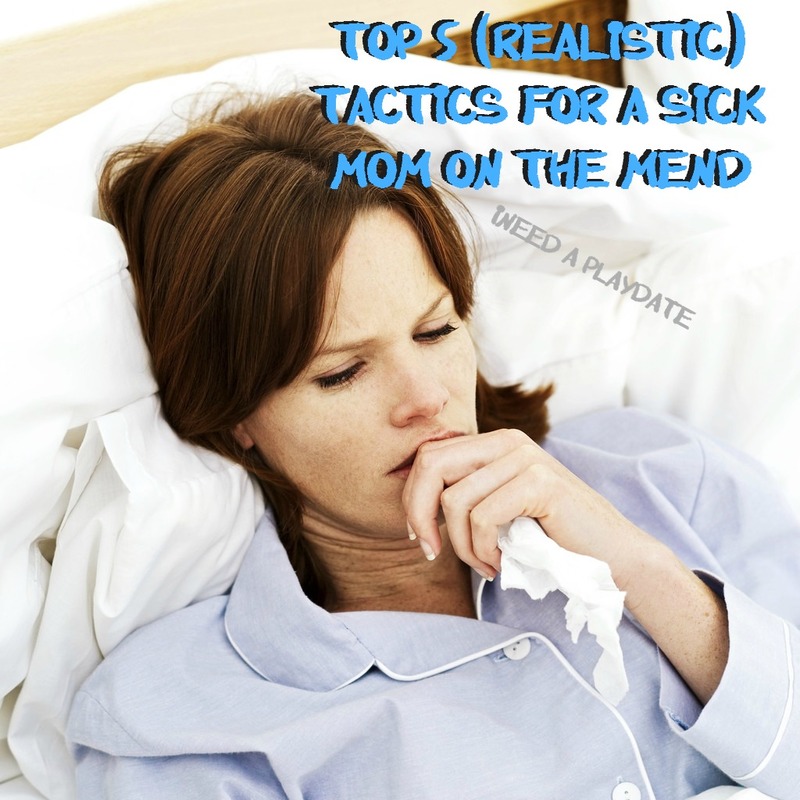 The world should stop when mom gets sick because that is just the way it should be, right? Of course, that is not the case, but how cool would that be! Even if it was for a few hours just to get caught up on something, anything and not feel so damn behind. When mom (or as it would happen me) gets sick the world keeps turning, money needs to flow in (and out), deadlines still need to be meet, homework still needs to be completed and bellies need to be feed. So on top of being sick it is easy to feel overwhelmed. Or at least I feel this way. 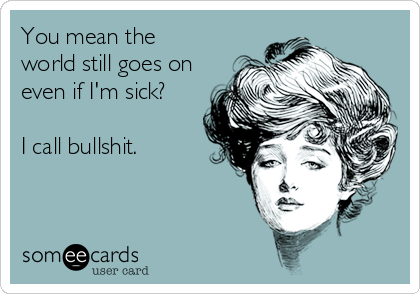 For the better part of the month everybody has been sick and we keep passing it around with the last two weeks being the worse. I have barely made it to work let alone out of bed but I feel that this experience has taught me something and has officially initiated us into the world of families with siblings. I wanted to take the opportunity to share my top five (realistic) tactics I learned to deal with the world not being able to stop just because I had to be sick. 1. Ask for help damn it. Put the oxygen on mask on and ask for help – even if it is from a kid that isn’t sick. We don’t have to do it all, that’s why most of us got married or agreed to live with another human being that we did not birth. If you are really lucky and you have a support system outside the confines of your home, use it! More power to you. I am not a fan of OTC medicine but holy cow I have a whole new found respect for NyQuil and their entire line of medicine. Sure, I got a box of free medicine but you better believe I am a loyal fan now and will have it stocked year round. The world may not have stopped but I sure did and when I was able to pick my head out of the toilet long enough to see what was going on I realized that I needed to get better and to do so meant to rest. Once I ventured back into the world, my next priorities were to make sure the family survived and that I still had a job. Sadly, my poor little blog got neglected. And just when you think that you have not sanitized enough – do it some more. There is really no rush to get back in the swing of things. Unless there is a rush to get back to the world and then take your vitamins and your DayQuil. Okay... your turn! What did I miss?